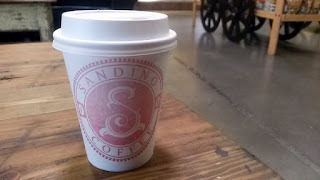 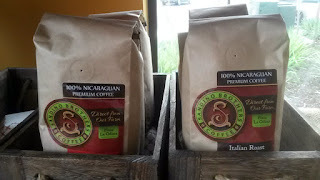 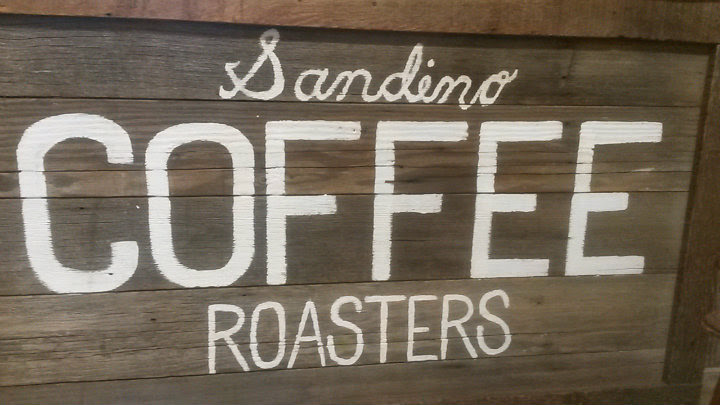 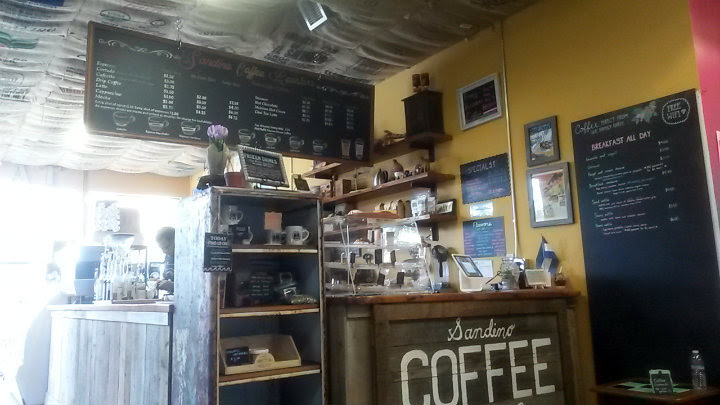 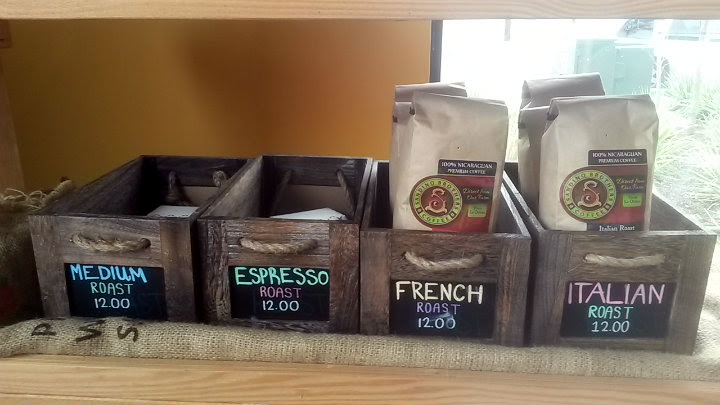 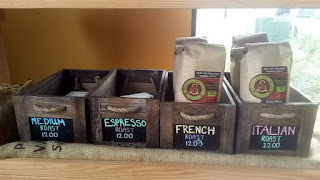 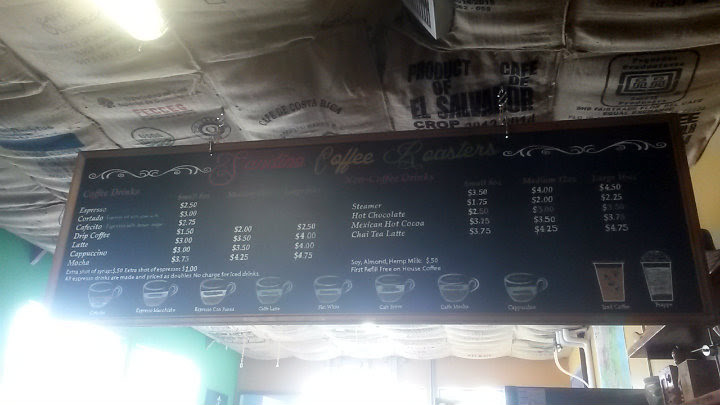 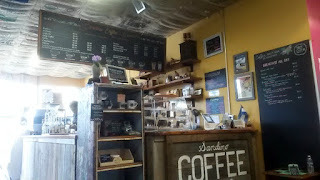 Sandino Coffee Roasters is located inside Portland Mercado (SE 72nd and Foster) in Portland, Oregon. 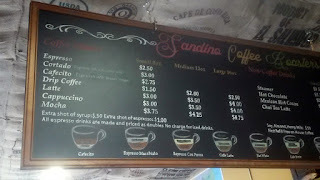 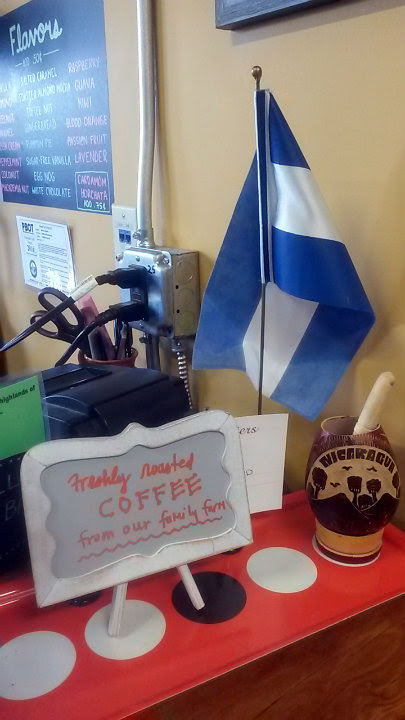 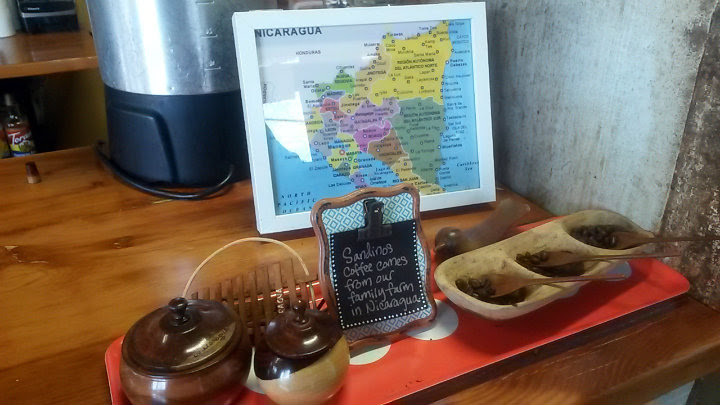 The Sandino family business brings their coffee from their farm in Nicaragua, their mission to share that quality coffee that one could find in Nicaragua before the Sandinista-Contra War devastated their economy. Currently, a sixth generation now works in the business. 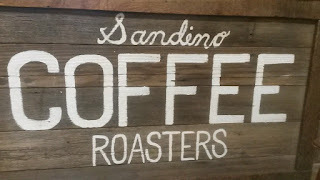 Quite a cool story on their site. Yup, you can also buy their coffee online. 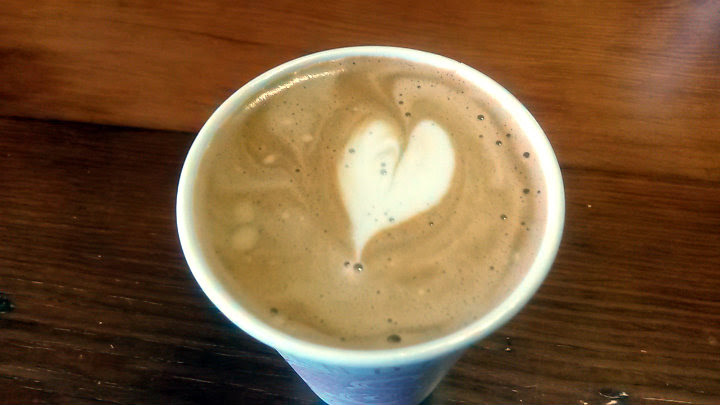 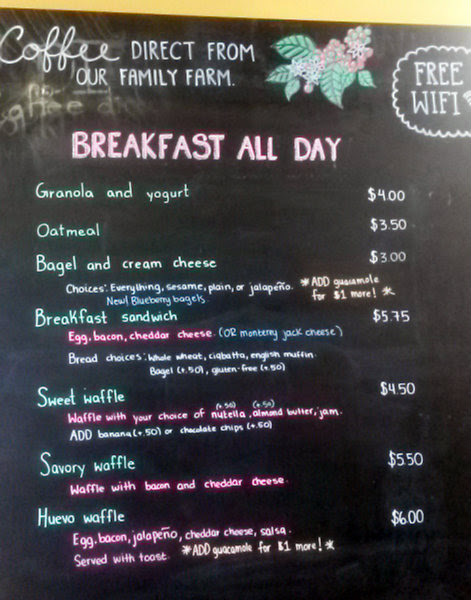 In addition to the full espresso menu, there are baked goods and a breakfast menu served all day. 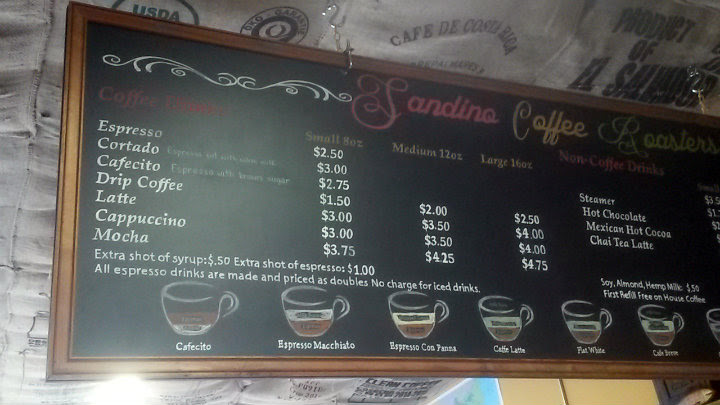 I wanted to try the drip coffee straight up and got a small cup of it ($1.50). It's excellent, not bitter, and has such a lovely roasted flavor that would bolster any cream or chocolate added to it. I returned about a week later and got their latte ($3.00). 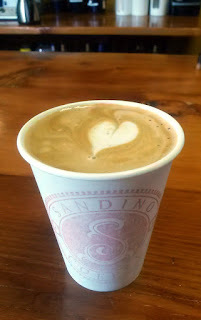 Again, very solid, comforting, and not too bitter.